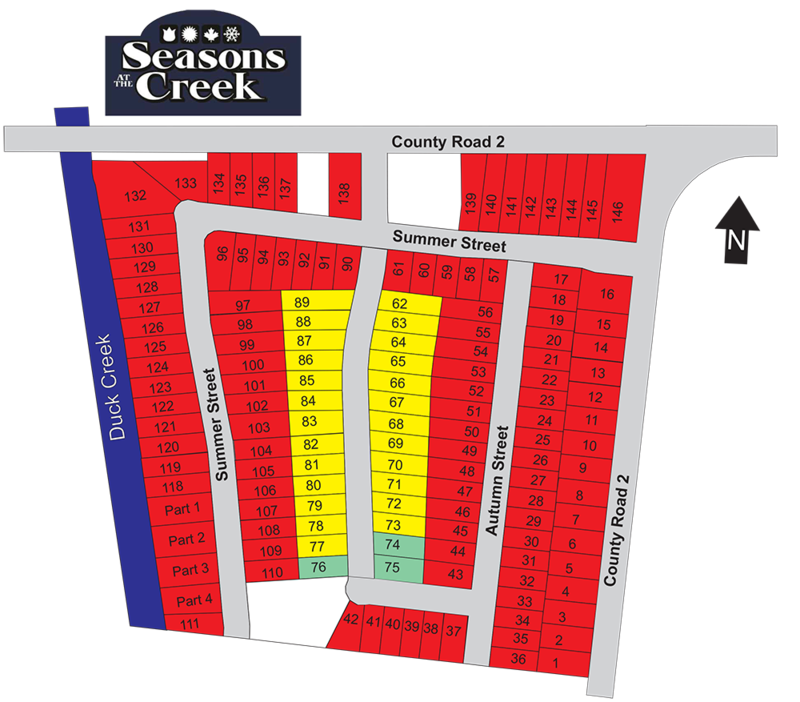 We only have a few lots left at the new and exclusive Seasons At The Creek development in Lakeshore. More than 140 new homes will be built in this rapidly growing community. Many of the lots have been sold and there are only a limited number of building sites remaining. Choose your own custom floor plan, or select one of our exclusive, pre-designed home plans. Enjoy peaceful living in a community that offers lots of amenities and activities. 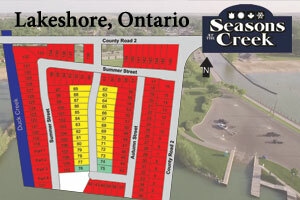 Seasons At the Creek is close to downtown Belle River, withing walking distance of Lake St. Clair, and is only a few minutes drive to a large variety of recreation and shopping. We are now beginning construction on Phase 2.